I’ve realized that, with five female bloggers, UpbeaT tends to lack in the athletics area of blog writing. Don’t get me wrong, it’s not that we can’t write about sports – women can be great sports bloggers and, of course, fantastic athletes. 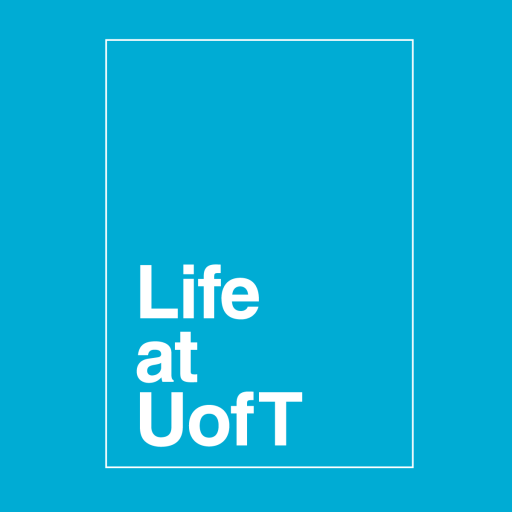 In fact, here on UpbeaT, we want to give you the inside scoop to all things U of T, so we can challenge you to get out there and try new things! I’ve always been into sports. I’m the girl who tags along with the boys to a game, seemingly nonchalant and indifferent (“playing it cool”, as it were :)). Within 5 minutes, however, I’m unable to keep up the facade and my yelling, screaming, laughing, singing and cheering all give away my love for sports. Soccer and hockey have always been my passion, particularly soccer – I have a secret wish to attend the FIFA World Cup in Brazil in 2014. In addition, soccer had a particularly positive role on my health when I played defence on my high school varsity team. Unfortunately I discovered that, in my first year of university, the typical “Freshman 15” was doubled as a direct result of my ceasing to play soccer. *sigh*! If I may confide honestly, I would have loved to have played soccer in university. I was never a very good player on my high school team (or, rather, I never really played to my full potential), and this discouraged me from pursuing sports at the post-secondary level. I always had the idea that only ‘the best of the best’ got to play at the university level, and for the rest of us unfortunate, uncoordinated sports lovers, the spectator sidelines was where we could play bench-warmer. Eventually, I’ve discovered that the University of Toronto really does have a rich department of sports and athletics that everyone can access – regardless of your skill-level. You just need to look around, and see what interests you. I had no idea U of T had intramurals! It is really neat! In essence, the colleges on our campus, as well as UTM and UTSC, compete against each other throughout the course of the year. The intramural sports offered range significantly: soccer, tennis, dodgeball and even table tennis! And you don’t have to be conventional – if I was choosing a sport from the list, I’d choose Broomball or Innertube Water Polo! 🙂 If you are looking for something a bit more competitive, you can check out the Tri-Campus league, which offers “enhanced games” and is considered to be the most competitive division of intramurals offered at U of T.
Wow! If you check out their website, there is no way you would not want to be a Varsity Blue. As U of T’s official intercollegiate athletics teams, the Varisty Blues teams have been coached by talented and critically-acclaimed individuals, including Olympic coaches! There are two leagues which the Varsity Blues compete in: the Ontario University Athletics (OUA), which oversees the provincial unversity sports, and the Canadian Interuniversity Sport (CIS), which is the body that oversees national university sporting competition. Perhaps you are interested in joining a Varsity Blues team – I’ve included a list of 2009-2010 open tryouts. Figure skating, cheerleading, fencing, ice hockey, rugby, track and field – you name it, and they’ve got it. Although the dates have passed, it gives you an idea of how to get onto a team for the upcoming academic year. If you are like me, however, then being a spectator might be more up your alley. 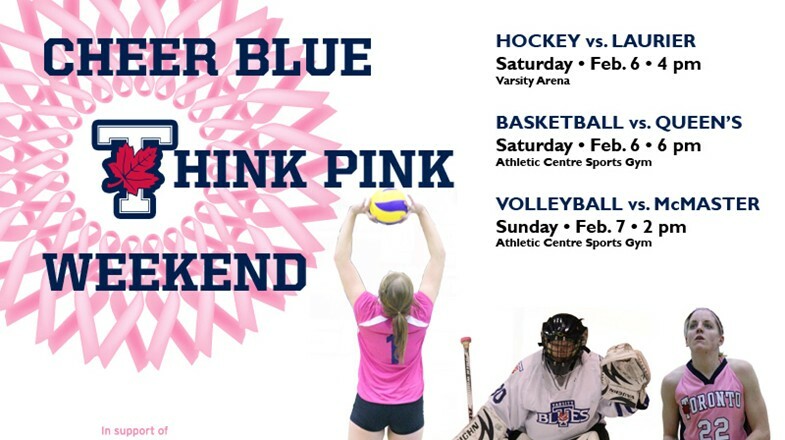 We’ve got some amazing events coming up including my favourite: the 3rd annual “Cheer Blue Think Pink” weekend, where collected donations go to the Canadian Breast Cancer Foundation Ontario. If you have not seen the Varsity Centre (on the site of the former Varsity Stadium), I highly recommend you check it out. A state-of-the-art, 5,000 seat stadium, complete with an artificial turf, air-supported dome for winter use and and an eight lane international-class track, this baby has pulled out all the stops! A project valued at approximately $92.2 million, you would be a fool not to take advantage of the Varisty Centre. Best perk of all? U of T Students can get in free! (Please check out FAQ for details). OK, OK, I'll let you take a quick peek inside the dome! The Varsity Stadium: Chillin' ... Ice-Style! Recreation: If you are looking for a little downtime, the Varsity Centre has special times (in specific months) dedicated for recreational jogging, volleyball, ice time, and more! Golf: Are you ready to get your golf on?! I didn’t even know the Varsity Centre was large enough to play golf in, let alone offers golf classes during the winter months. I must be honest, students get a particularly sweet deal on lessons – so if you are interested in that, I strongly recommend you check out the list of available lessons. In addition, the GOLF driving range is open for the 2010 season, Monday-Friday from 7:30AM to 1:30PM, until April 8th, 2010 (closed for Reading Week and March Break). Yup, that’s our school he is running in, and I am damn proud of it! 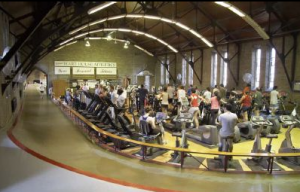 I have personally dubbed both the Athletic Centre (AC) and Hart House as “The Sweat Spots” because these are the perfect places to get a workout going and shed a few pounds. The AC – a multi-story facility featuring a 50-metre Olympic pool, squash courts, a dance studio, gymnastic gym, tennis courts and much more – is free to U of T students that are enrolled in classes. The Hart House facilities (my personal favourite) are more intimate but certainly more than adequate to satisfy all of your exercise needs. No matter what your preferences are, I highly recommend you make an effort to exercise and stay healthy. An snapshot of the Hart House facilities. Various exercising equipment - treadmills, ellipticals, stationary bikes and more - are available to students. 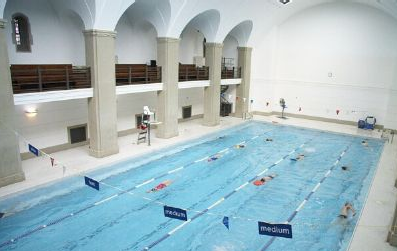 A quick dip in the Hart House Pool ought to cool you down! Women's only hours and recreational swim are available as well! Whether you are hoping to jump from high school into a university sports team, or you are a fourth-year student who needs to spend some downtime at the gym, I think U of T has you covered. There are a multitude of recreational and competitive sports as well as other athletic opportunities that students can take advantage of in order to stay fit and healthy. After all, a healthy body means a healthy mind! You are always welcome to check out U of T’s Faculty of Physical Education & Health as an additional resource to athletic activities, as well as an undergraduate or graduate academic program. I found your blog most informative; I am looking for more information dealing with this and will be checking back for your future posts. Glad you enjoyed my blog post. Is there any specific area of athletics at U of T that you are interested in? I love sports, and would be delighted to write a further post, keeping in mind your personal interests.